Thousands of years ago, our pets’ canine and feline ancestors used to thrive as part of nature’s food chain. Every creature had to strive for their survival, playing the predator-prey game. 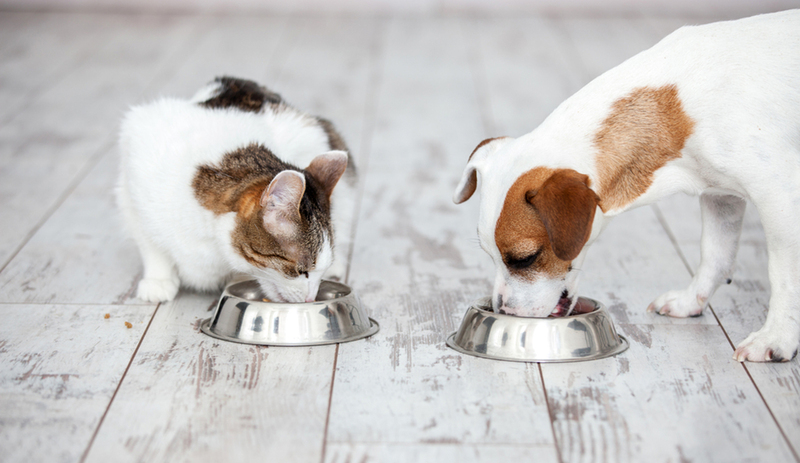 Fast forward to today: cats and dogs lean on the tasty convenience of pet food to get adequate nutrition. While pets no longer have to look hard for prey, they still haven’t forgotten their wild instincts. In fact, their hardwired biology still urges them to search for and acquire food for their fur-family friends, despite having the convenience of pet food served to them on a regular basis. This is especially the case with dogs, who are known for stealing nibbles of food from nearby animals, like humans and cats. Humans can easily fend off dogs from their plate, however cats can have a trickier time succeeding at this. For this reason, we recommend that families living with both dogs and cats keep cat food away from dogs. Is It Okay to Let Your Dog Munch on Cat Kibble? Dogs love cat food and there are many reasons why. 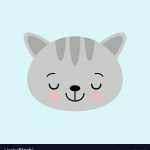 One of the primary reasons is that cat food tastes awesome (if you’re a cat or a dog) and is full of wholesome fats and protein. While cat food is not toxic for dogs and doesn’t harm them if they eat it once or twice, they can suffer harmful effects in the long run. Here are some of the reasons why it is not okay to let your canine buddy munch on cat kibble. Cat and dog food are prepared to nourish and fulfill the specific nutritional needs of the species they’re made for. Cat food is generally richer than dog food. Some of the best cat food bags calories in the form of fats and nutrients, whereas dog food features a significant amount of carbohydrates. Short-term effects of a pooch eating cat food may include stomach upset, due to cat food’s fat and protein-laden content. In the long term, dogs who eat cat food can actually develop some chronic diseases. Once doggies get accustomed to satisfying their sweet tooth from cat kibble, they may think it’s actually their food and will refuse to eat their own dog food. They’ll eventually start waiting for the cat’s mealtime for food, instead of their own. This further establishes bad habits, such as stealing from other pets’ bowls and even begging for human food. Obviously, the cat with stolen food will get fewer calories from their meal and may become undernourished. This situation results in a decreased immunity, which, in turn, may lead to many other health issues. Some pets are possessive in general. That is one of the reasons why canines and felines mark their territories, signaling that they own the resources. When dogs steal cat food, it can spark disputes between dogs and cats, leading to fights and potential injuries. Moreover, this animosity can lead to anxiety and stress among both cats and dogs. It is clear that one species of pet shouldn’t eat food meant for another pet species. In order to avoid food and health-related adversities, it’s recommended that dog and cat owners keep their cats’ food away from dogs’ reach. Canines and felines have different features and abilities when it comes to climbing and leaping. Cats can easily climb to higher places in the house, whereas it’s quite unusual and tough to reach those elevations for canines. Putting cat food at an elevated place ensures that all the food served to your kitty will be reserved for her. However, you should avoid placing a cat’s food bowl on your kitchen platform as kitties can spread germs in the kitchen. 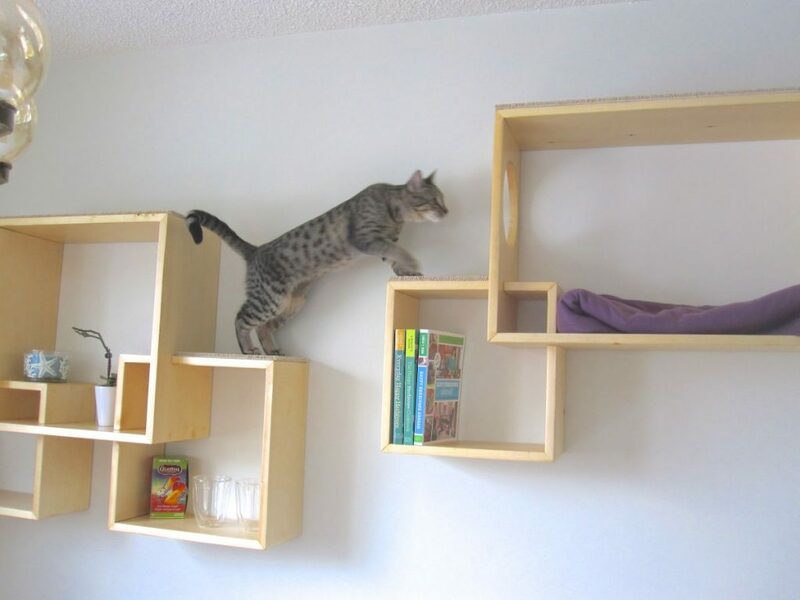 A raised platform, for example, in an elevated cat bed or cat tree work well as an elevated platform. You can use exclusion pet feeders to feed each of your pets, turn by turn, without letting them steal each other’s food. An exclusion pet feeder can identify the pet by a tag on its collar or by the micro chipping technique. When the desired kitty or a dog comes near to the feeder, it will give them access to the pet’s meal through a door. You can buy exclusion feeders online or, if you’re a tech-savvy person, build one yourself. You can leverage the physical attributes of pets to solve pet feeding problem. Build a pet entrance that’s big enough to let a cat slip through, but won’t let a bigger sized pet, like a dog, into a room door. Ultimately, this solution gives your cats a room dedicated to their feeding station that only they can access. A cat food enclosure is a small structure for a cat’s meal. It is designed so that only the cat you want to feed has access to it. The main feature of a cat food enclosure is its doorway. The small size doorway will let your feline easily enter the ‘food-zone’ and keep bigger pets, like your doggie, out. A dog’s love of cat food can lead to health-related adversities in the long run. This is why cats should eat their meals in a place that is safe and separate from their doggy friends. If you have a marvelous solution for keeping cats’ meals separate from dogs, we invite you to share it with our other readers. Happy commenting!